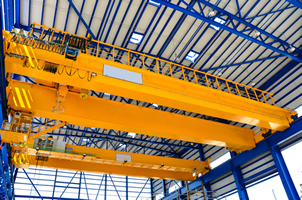 This course was designed to cover Overhead Crane Safety and Operation. This course will cover OSHA, ANSI, and ASME regulations and standards that pertain to overhead crane operations and the safety of. Methods of instruction include but are not limited to, lecture, power point presentation, video and case studies of various fatal accidents. Each student will be required to take a written test and complete a hands-on inspection and use of equipment to complete this course. It is the responsibility of the Employer to deem each Operator as Qualified and Authorized to use their equipment. Upon completion of Overhead Crane training, the student will be familiar with, overhead crane hazards, methods of keeping loads stable when moving them, what to do in case of failed equipment inspection, hands-on demonstration of overhead crane operations, component of overhead cranes and their functions. 1. Grading and testing procedures will strictly follow Omega Safety Training, Inc. requirements. 2. Each Student must pass the written test with a passing grade of 80% or better. Should a student fail the written or hands-on portion of the test that student will be required to retake the course. 3. Hands-on portion is graded by ability to develop and implement an appropriate lift plan for item to be lifted. This will require proper selection, application, use of, removal of and storage of all rigging equipment identified in the lift plan. 4. Any student caught cheating during written testing will be immediately removed from the class and our specified contact will be notified immediately.